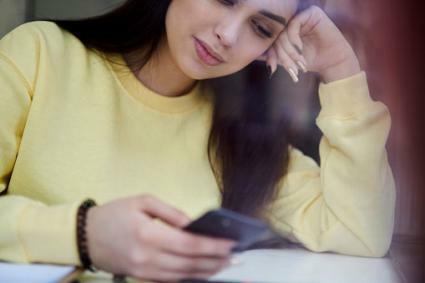 While all you really need to create a poem is an idea and a blank page, apps can help you to hone your writing skills and boost your creativity. 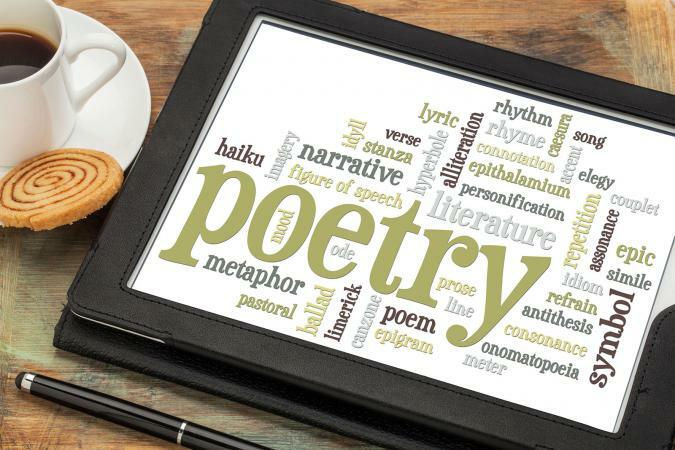 There are poetry creator apps out there that offer a wide variety of features, from specialty dictionaries and rhyming help to audio recorders. They can't write the poems for you, but they can give you words to work with or allow you a blank canvas to let your creativity flow freely. Whether you are a poetry writer or speaker, Poet's Pad is a great choice for helping you build your stanza or strengthen your rhyme. This handy app, offered through Paragoni Apps, was featured on the top of ThoughtCo's The Best Apps for Writing Poetry. Available through both the iTunes store and Google Play, you will find tons of great features like a thesaurus and dictionary, as well as a rhyming dictionary and idea generator. Not only does Poet's Pad include a tutorial, it also has word processing functions and you can use it to reorganize your stanzas. Those who work on the auditory plane can record and listen to their words or just record inspiration for further use. You can also email all your musings to yourself if you want to work outside the app. It costs about ten dollars, but half-off sales are common. An Apple only product created by Tiny Mobile Inc., Poetry Creator offers a unique and fun 'refrigerator magnet' mash-up platform that uses tiles to help you create unique poetry and stanzas. It is featured in the number one spot on a list of the top poetry writing apps on Writing Tip Oasis. The free version comes with four different dictionaries. However, if you choose to go the premium route, you can acquire 14 dictionaries, including hip-hop and beatnik versions, which are broken into two-packs or individual dictionaries. Getting all of them will cost you about six dollars. Many of the reviews on iTunes suggest forking out the extra dough if you are going to use this app. Overall, this app is rated positively, although some naysayers mention experiencing technical issues with it. PortaPoet offers it all. Created by Artisan Engineering LLC, this Apple only app allows you to browse poems, share your work, write poems, and collaborate with others to create a masterpiece. You can also engage in epic battles with other poets. MakeUseOf (MUO) recommends it as an app that "every aspiring poet should have on their device." You can use this app to count syllables, find rhymes and create haikus with ease. There is even a feature that will allow you to share your work on Facebook and Twitter. You can also subscribe to other poets. This app has received several five-star reviews on iTunes. It costs two dollars. A user-friendly app designed for newbies and established poets alike, Instant Poetry 2 is available for Apple devices. It has a unique tile interface that presents you with words with the tap of a finger, which you can then move around to create a moving piece of poetry. The app's algorithm allows it to choose words that will suit you best. You won't be adding words, but instead moving words to create a poem. It also allows you to customize the background image of your poetry with your own images. While the app itself is free, it does offer in-app purchases. You can add a 'super poet' feature for three dollars, as well as 'sadness' and 'passionate' word packs for one dollar each. It has a strong rating on iTunes and was featured on Mashable as a top app for discovering and creating poetry. 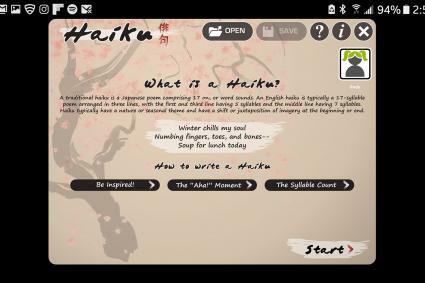 Designed for those who have a fascination with creating haikus and provided by the International Reading Association, the Haiku Poem app is completely free. Especially created for educational purposes, this app can help you create and brainstorm haiku poetry. While the app doesn't count your syllables, it does offer you some instructions for creating a haiku and allows you to save your work for later. It also offers you backgrounds that you can customize for your poems. It is featured on ReadWriteThink and is highly rated on the Google Play Store. Also created by the International Reading Association, the Acrostic Poem app is specifically designed for creating your own acrostic poems, which are "a type of poetry where the first, last or other letters in a line spell out a particular word or phrase." Not only can you use the app to brainstorm words to use to start your poem, but you can build your complete poem and then email it to yourself or others. You can even take a picture of your poem. Designed with classroom use in mind, this app can be a great resource for students, even allowing them to create an individualized profile. In addition to being featured by Edutopia during poetry month, this app won't cost you a dime. If you are looking for a more open, plain editor for creating your poems or jotting down inspiration and ideas, JotterPad features a clean interface that allows you to only focus on your creation. 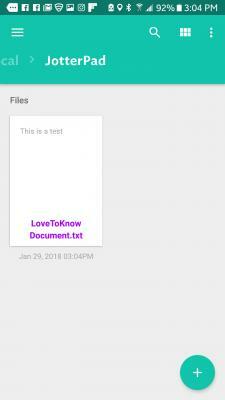 This app can hook up to the cloud or Dropbox to make your musing accessible on multiple devices and allows you to customize your fonts and text. The in-app dictionary also helps you find the word you are looking for. Designed by Two App Studio Pte. Ltd, this Android only app has a high rating on GooglePlay Store with more than 47,000 reviewers. It also has a solid reviewer rating on Amazon. While the app is free, it does offer the opportunity to upgrade with in-app purchases starting at two dollars and going up to $15. AndyTips.org listed it as one of the best free Android writing apps. The list of apps available for poets is vast. Whether you are searching for writing apps, inspiration apps, or even apps that offer you access to large poetry groups, there is something available for everyone. However, there are a few tips to keep in mind when trying to find the perfect app for you. Articles that list the best apps for poetry are a great place to start. The authors of these types of articles have already weeded through the multitude of apps available to give you some of the best choices. If you are searching for apps on iTunes or GooglePlay store, pay attention to the content of the reviews and the number of reviews. These can really help you to distinguish apps that have problems or say they are free but will really charge you to use the services. Cost doesn't mean quality. Some of the best apps out there for budding or established poets are free. Just because you pay for an app doesn't mean it will be what you are looking for. Apps are available for every subgenre of poetry, including ballads, haiku, free verse, narrative, limericks, and more. If there is a specific type of poem you want to create, try looking for articles discussing apps specific to that style. Alternately, search your app store for that particular kind of poem. Writing poetry is a creative outlet that people can use to discuss their feelings, raise awareness of issues, or provide unique insights. If you like to write poetry, you may find it helpful to use an app focused on the genre. There are a number of free or low-cost apps out there that may be able to help you improve your writing, as well as provide inspiration and tips on technique. Find the app that works best for you and start writing!